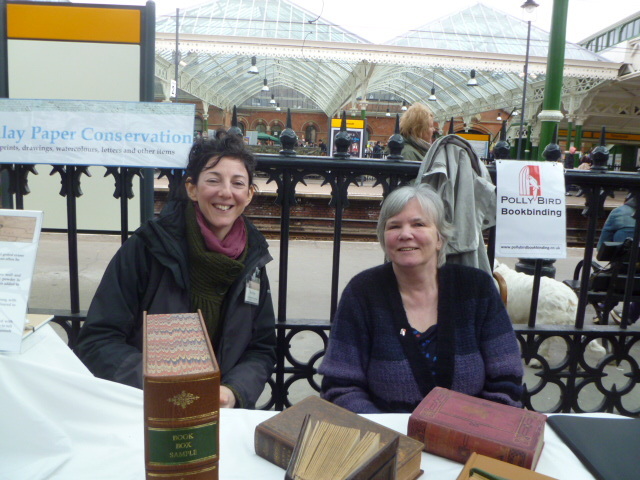 Polly Bird, a local bookbinder, and I had a great day yesterday sharing our stall at Tynemouth station for the Antiquarian and Second Hand book fair. Meeting lots of current and previous clients as well as catching up with the many book stall owners always turns into a great social occasion as well as a work one. It was a chilly day though, I hope the next event on June 23rd is a lot warmer! Zoe and Polly at Tynemouth, bundled up against the cold!